You are here: Home / Snapshot / Lights. Camera, Action! 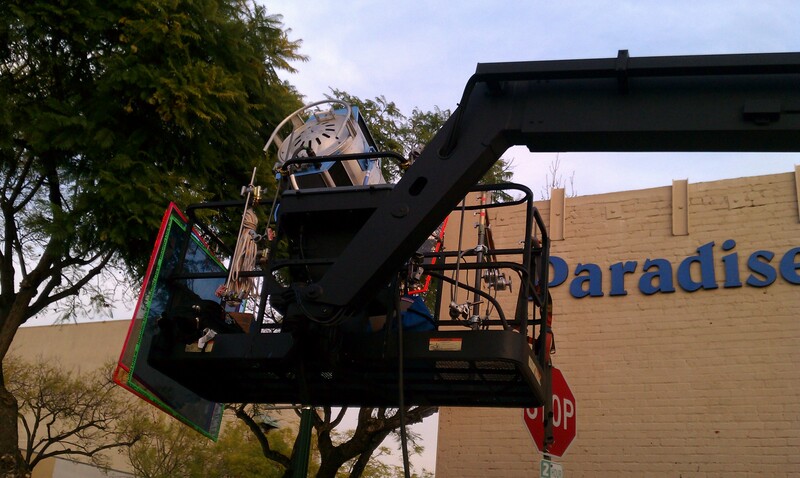 One of the things I love about living in Glendale is seeing all the TV Shows, Commercials, Films, Music Videos being made. I don’t think I’ve ever seen a celebrity in this town but I love the buzz, the excitment, the lights and the cameras. Plus it doesn’t matter if we are watching Will Ferrell streaking through Montrose, Eddie Murphey playing with the kids in Verdugo Park in Daddy Day Care, or the Sons of Anarchy crew in Montrose it’s always fun to spot your town on the TV or Silver Screen. Hollywood might be over the hill but sometimes it’s just around the corner. What shows have you seen on TV/Film/Video that were filmed in Glendale?